Welcome! 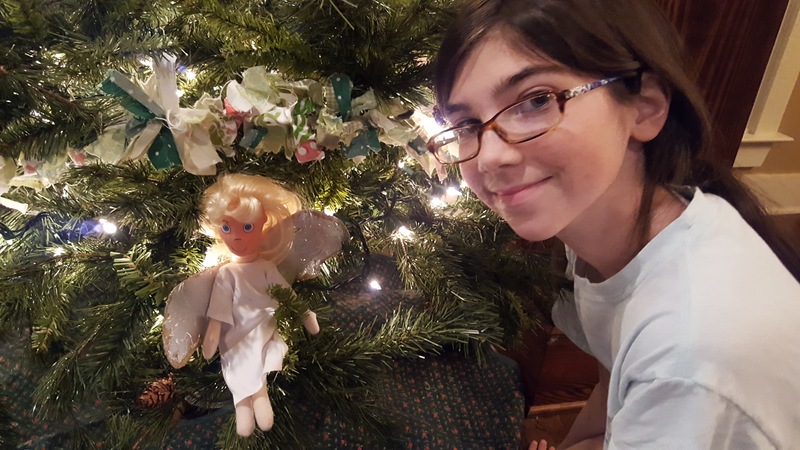 We hope you will join us in sharing YOUR Christmas Tree Angel Story! 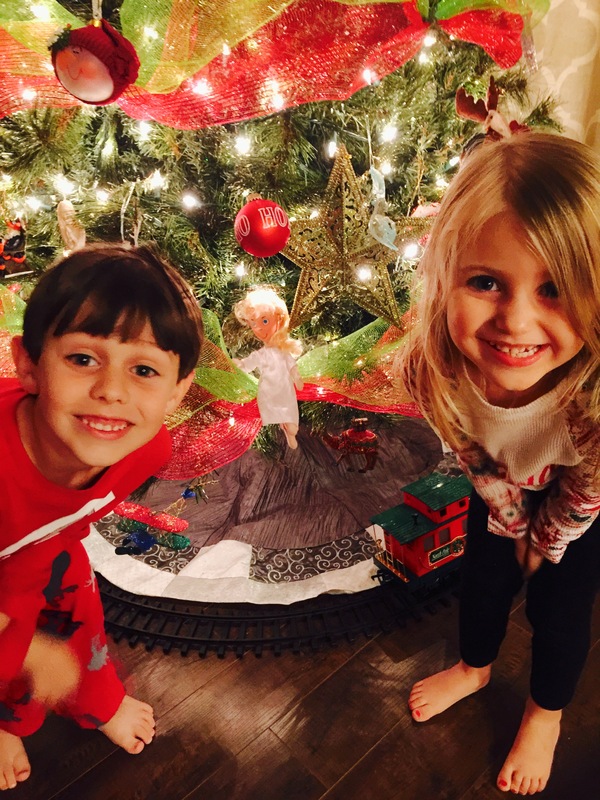 We would love to hear all about you, your family, your Angel, and her journey up the Christmas Tree. Stories on how you named her, to your first and favorite Good Deeds! 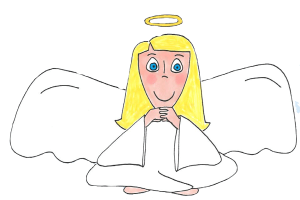 Maybe you can help other Angel friends by inspiring them with your feats of goodness. Well, then you will be doing another Good Deed! 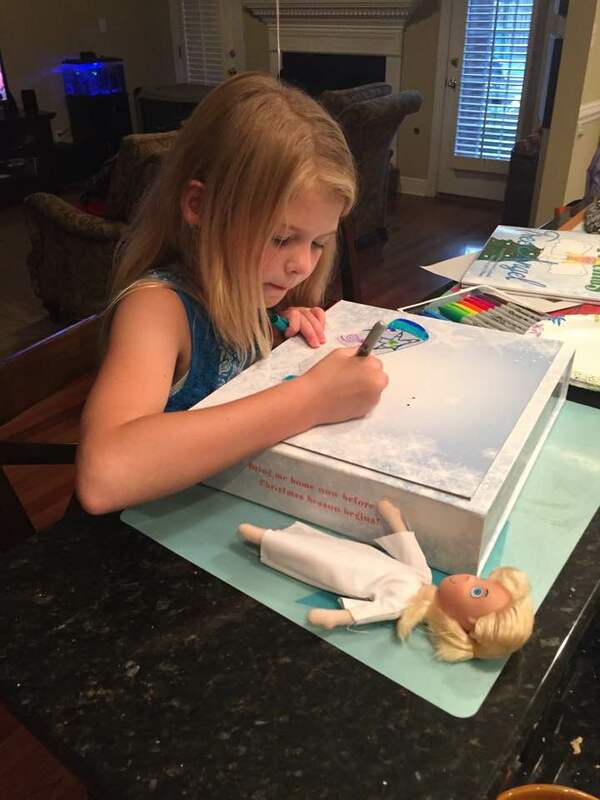 McKenna decorating her Angel’s wings! Hi, my name is Cheryl. 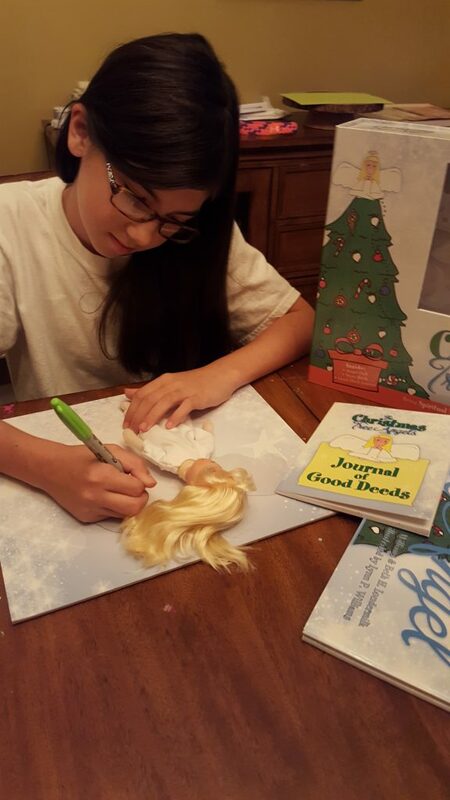 I just purchased The Christmas Tree Angel storybook, doll and journal today for my daughter Caroline who is three. She was so excited to see it in online and when I read what it is all about, I got excited too! I love the concept and ties to pleasing God by doing good deeds. We are cant wait to place it on our tree and we have spent all day talking about doing good deeds. I like that there is a journal included, it is something we can look back on in later years to remember this Christmas. Caroline has still not decided on a name for her Angel yet, she cannot decide between Lucy and Betsy. Thanks so much, this is going to add something different and good to our Christmas year. Charlotte is decorating her Angel wings! Charlotte has some good deeds to get to– her angel has a looong way to go! Our Christmas tree angel arrived and the kids were so excited!! The names her Angel Annie! The book is so well written and helped them know exactly what the angel and Christmas is really about! I will update when we decorate her wings tomorrow night!